And it is contest time once again at SJCAM, ladies and gents! 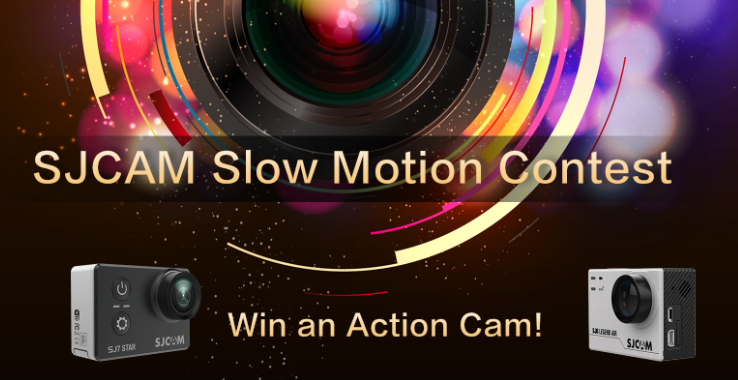 Our challenge for you this time is to come up with your most awesome slow-mo video. Get your thoughts running and plan out something that is truly unique and jaw-dropping. Plus points for difficulty level. So, yes, make it spectacular! It can be anywhere, shot at any angle you like, with any SJCAM model you like. If you’re going to be really creative, we’re going to be generous… there will be many other prizes to be given away to those who capture our attention with their work. So crank up your framerates people, time is about to slow down real fast!